Pain is a sign that something in the body is not working right. There is some type of injury or illness affecting body structures. The damaged or injured body region sends pain signals via nerves to the spinal cord, which transmits the signals on to the brain. Once the brain receives the messages, the perception of pain is felt. Cancer is a major disease that causes pain, and cancer pain can be severe and debilitating. 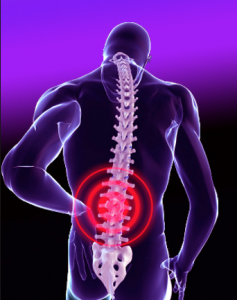 Cancer pain treatment in Gilbert AZ is available at Desert Interventional Spine Consultants. A small tumor pressing on a nerve can be seriously painful, whereas a large tumor can not cause any pain at all. Having pain after cancer treatment does not mean the cancer has returned. Many people have pain related to treatments, such as chemotherapy or radiation therapy. Pain can actually get worse months or years after treatment. This occurs due to the damaged nerves that continue to send pain signals. Do all cancers cause pain? Many people who have cancer do not have pain. This is because certain cancers do not affect the nerves. A growing tumor can press on nerves, however, which produces pain. How many people with cancer have pain? According to the National Cancer Institute, approximately 1.6 million people will be diagnosed with cancer each year, and around 580,000 Americans die from cancer every year. Of those people diagnosed with cancer, 40% will have some type of pain, and pain is more likely to occur with advanced forms of cancer. With advanced cancer, the cancer has come back or spread to other areas of the body. Approximately 80% of people with advanced cancer report pain. What symptoms are associated with cancer pain? Pain affects everyone differently. It is an emotional and physical experience. The pain associated with cancer can be aching, stabbing, and/or burning, dull or sharp, come on suddenly or gradually, be continuous or come and go. Radiotherapy causes skin irritation, which produces a burning pain. When a tumor presses on the spinal nerves, it can produce pain that radiates into an extremity. What are the types of cancer pain? Nerve pain – This is caused by damaged nerves or pressure on nerves. Also called neuropathic pain, this pain is the most difficult to treat, and it produces a tingling, burning, and shooting sensation. Bone pain – When cancer originates in the bone or spreads there, the pain is aching, throbbing, and continuous. Also called somatic pain, the cancer cells within the bone damage bone tissue, which produces discomfort. Soft tissue pain – When pain occurs from a muscle or body organ, it produces a cramping, sharp, and throbbing pain. Often called visceral pain, an example is pain related to kidney cancer. Phantom pain – When a limp or part of the body has been removed, the patient may feel pain in that region, even though the body part is no longer there. This type of pain occurs after a mastectomy (breast removal) or when a leg is removed due to osteosarcoma. As many as 70% of people who have had a leg or arm removed report phantom pain. Referred pain – When pain is felt in one body region, but it originates from another body area, it is called referred pain. A cancerous liver can cause shoulder pain, and a person with a lung tumor may have neck pain. What determines the amount of pain you have? How is cancer pain treated? 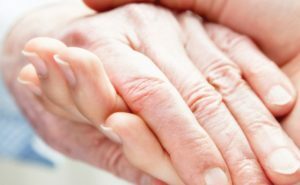 Cancer treatments – To reduce the size of a tumor, and decrease pressure on surrounding tissues, structures, and nerves, cancer treatments are given. This is referred to as palliative treatment. Treatments include radiotherapy, chemotherapy, and hormone therapy. Radiofrequency ablation (RFA) – This involves insertion of a small needle near the affected nerves and the use of radiofrequency heat to kill the nerve tissue. RFA also is used to destroy cancer cells. The probe can be inserted directly into the tumor. Surgery – If a tumor is cause severe pain, the surgeon can remove it, which is called debulking. Intrathecal pain pump – The doctor can install a small catheter into the space near the spinal cord. Called spinal anesthesia, the pump device will deliver painkillers directly to the spinal cord, which allows bypassing of the gastrointestinal (GI) tract. This type of pain control is effective for people who experience nausea and vomiting related to pain medications. Lumbar nerve blocks – To deaden a nerve root or portion of one, the doctor can instill an anesthetic or neurolytic agent onto the nerve. This procedure is done using x-ray guidance, and it has a 90% success rate, according to clinical studies. Celiac plexus block – The celiac plexus is a bundle of nerves that supplies the abdominal structures and organs. For pancreatic, stomach, and abdominal cancers, the doctor injects an anesthetic onto the nerves. This procedure involves x-ray guidance for correct needle placement. Based on research reports, this block is 90% effective. Splanchnicectomy – This involves cutting the splanchnic nerves that send pain signals from the organs of the chest and abdomen. With this procedure, the patient is given a sedative or anesthesia, and a small incision is made near the nerves. A tiny scope is used to view the nerves, and the doctor uses a laser or radiofrequency probe to sever the nerves. Medications – Strong opioid analgesics are given to patients with severe, intractable cancer pain. These include Demerol, Morphine, and Oxycodone. 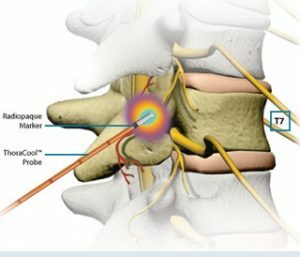 Dr. Yeddu at Desert Interventional Spine Consultants offers top notch treatment for cancer pain in Gilbert, Mesa, Chandler, Queen Creek. This includes both medication management and interventional treatments. Most insurance is accepted, call us today!